Fo Shou literally translates to "Buddha's Hand". 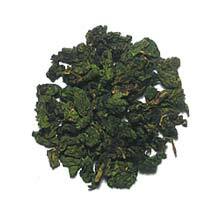 The name is earned from the appearance of its tea leaves, which resemble the leaves of a Buddha's hand fruit tree. It was first introduced in the Chinese Northern Song Dynasty (960-1127 AD) by a Zen Master, who brought the tea plant from An Xi to Yong Chun county of Fujian province. Fo Shou is now one of Yong Chun's famous tea and is exported to many Asian countries, particularly Japan and South East Asia. The tea has a smooth mouth-feel and delicate fruity aroma. The aftertaste is deliberate, takes a while to build up but will leave your breath having the aroma of sweet fruity and flowery note. Tightly rolled tea leaves shaped like a question mark. The infusion is bright yellow in color.